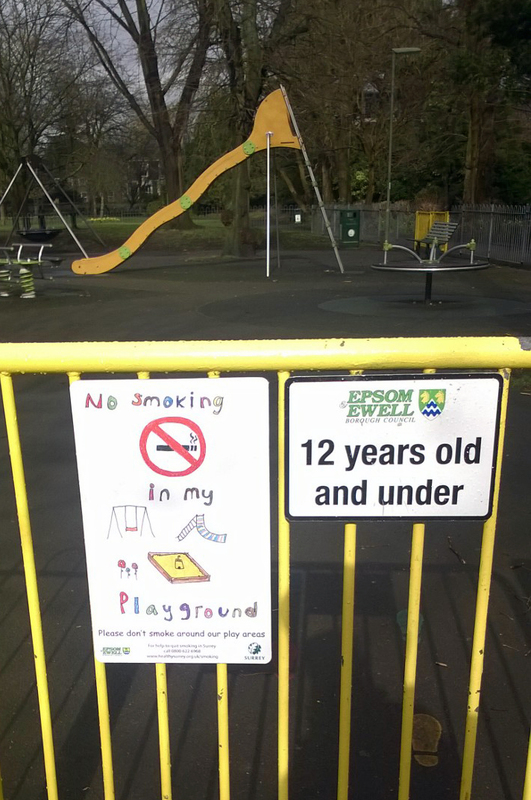 A voluntary smoking ban is being launched in children’s play areas across Surrey. The scheme will rely on the goodwill of people using them and will be supported by signs featuring artwork by local children. It is being launched by boroughs and districts with the help of Surrey County Council’s public health team to coincide with national No Smoking Day (today). 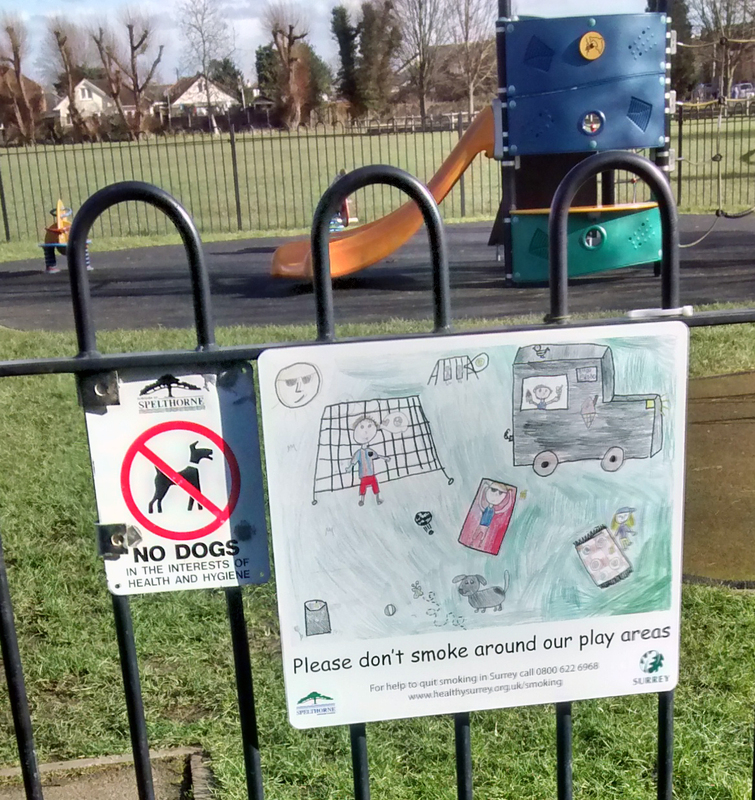 Smokefree zones cover fenced off areas containing children’s play equipment. They do not include parks and open spaces. Boroughs and districts already committed to the scheme are Epsom and Ewell, Guildford, Mole Valley, Reigate and Banstead, Runnymede, Spelthorne and Woking.